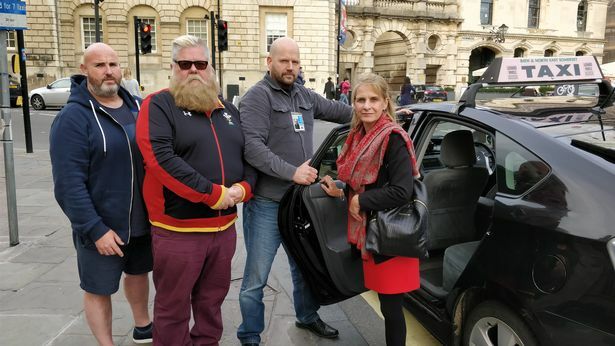 “Provocative or sexually revealing” clothing could be banned for taxi drivers in Bath and North East Somerset so no passenger feels uncomfortable. B&NES Council is also looking to stop them wearing shorts - a move branded “pathetic, petty and vindictive” - and for equality’s sake it has extended the same rule to miniskirts. Taxi drivers were already banned from wearing ripped or holey clothing, items with suggestive or offensive words or graphics, sports kit or track suits. The new policy being considered by councillors next week will add shorts, miniskirts and “any clothing that could be deemed to be provocative or sexually revealing” to the list. Lloyd Cook from the Bath Spa Taxi Association said: “Banning shorts would just make it uncomfortable for all the drivers. "After the summer we had it would just make people more irate. “I don’t see shorts that come below the knee as a problem. Other drivers at the Bath Spa taxi rank said they had never seen a cabbie in “provocative or sexually revealing” clothing. Drivers appealed in a consultation to be able to wear shorts in hot weather but an officer said the clothing can vary widely in fit and length and “one person’s idea of an acceptable dress code can be very different from another person’s”. “One driver’s idea of an acceptable pair of shorts may be unacceptable to a person travelling in a licensed vehicle and may make them feel uncomfortable,” the officer said, suggesting using air conditioning instead. Another taxi driver said in the consultation: “We have recently experienced temperatures in the mid to late 30s and often have to sit in our vehicles on the taxi ranks for up to an hour at a time in the full sun. The officer said for the sake of equality the rule will indeed extend to miniskirts. The officer responded: “This is intended to provide a standard condition where no member of the public travelling in a licensed vehicle is made to feel uncomfortable by a driver whose choice of shorts (or other clothing) may be inappropriate and make them feel uncomfortable. 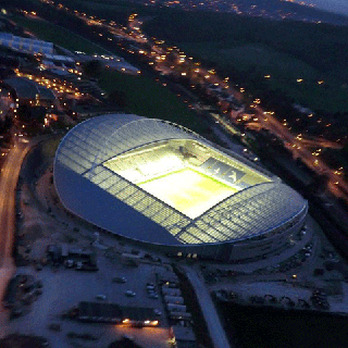 The new policy will be considered by Bath and North East Somerset Council’s licensing committee next week. The question I would ask the council is how many people have complained about the 'provocative' clothing? I suspect none, and all this so called offence being caused is only in the minds of a few sad licensing officers and councillors. Perhaps I should have a chat with my friends in Bath. What do you think Sussex? Suspect the 'provocative' thing isn't really what it's aimed at - probably more about getting rid of the shorts brigade. The 'provactive' angle just adds a bit to the council's argument. 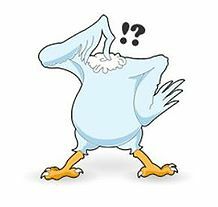 I never understand why so many drivers insist on scruffy clothing whats wrong with presenting a respectable appearance ? I agree, but where do you start and where do you finish? I agree with nice tailored shorts, I disagree with swimming/beach shorts. I agree with shirts with collars, I disagree with vests. I agree with nice trainers, I disagree with sandals. However I suspect no one set of specific dress codes will please everyone, so maybe the answer is a general 'must be smart and presentable' code, and that is the best we can hope for. Seems that tailored shorts will be allowed after all. Taxi drivers in and around Bath will not be allowed to wear beach wear, vest tops and flip flops but may be able to wear tailored shorts to work. 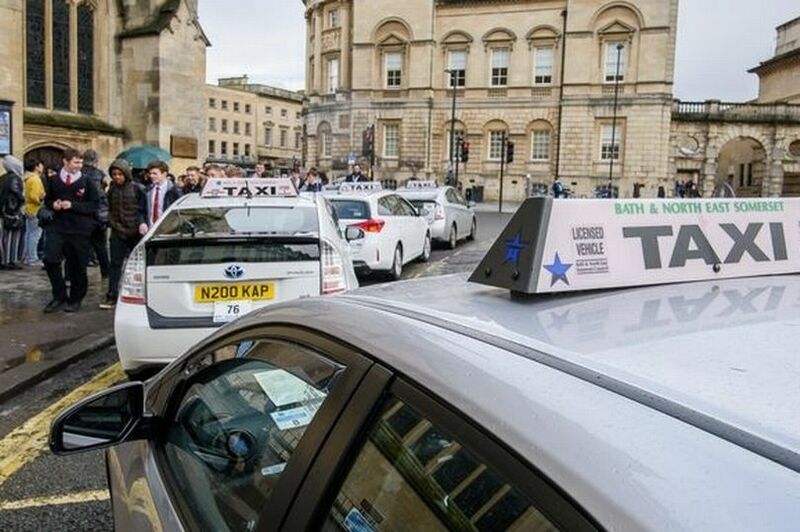 According to Bath and North East Somerset Council, tailored shorts look set to get the green light for local cabbies as part of new licensing conditions being discussed. The hot topic of whether taxi drivers across Bath and North East Somerset should be allowed to wear shorts attracted widespread attention when a report went before the authority’s licencing committee in October. When cabinet meets on December 18, it is being asked to rubber stamp a proposal which says drivers will be expected to be respectably dressed and clean and tidy in appearance. The proposal gives an example of tailored shorts being acceptable but rules out flip-flops and beach shorts. Councillor Bob Goodman said “Following a rather entertaining fashion parade at our last committee meeting we’ve listened to views and amended our proposals. “People’s ideas about acceptable dress vary greatly but what we want to do is to help improve the overall professionalism of the service while thinking about the passenger’s experience. "Under our new plans what’s acceptable and what’s not is now clear. In addition in the revised policy, new drivers applying for a licence will now be required to undertake an English competency test to ensure all drivers have an acceptable command of the language again in the interest of the passenger and public safety. All drivers will also be required to undertake awareness training around the issue of Child Sexual Exploitation so that they can better report concerns to the right authorities. Shouldn't this be the main subject, rather than pi**ing around about what you can or can't wear?